Trinity College School is committed to inviting varied and interesting guest speakers to address the School community. Our guest speakers present to our community during a variety of TCS events such as the Mac Campbell Lecture Series, subject specific lectures and other special occasions such as Scholars' Evening. Rick Mercer chronicles, satirizes and ultimately celebrates all that is great and irreverent about this country. Known as "Canada's Unofficial Opposition," Mercer is our most popular comic, a political satirist who knows exactly what matters to regular Canadians and what makes them laugh. 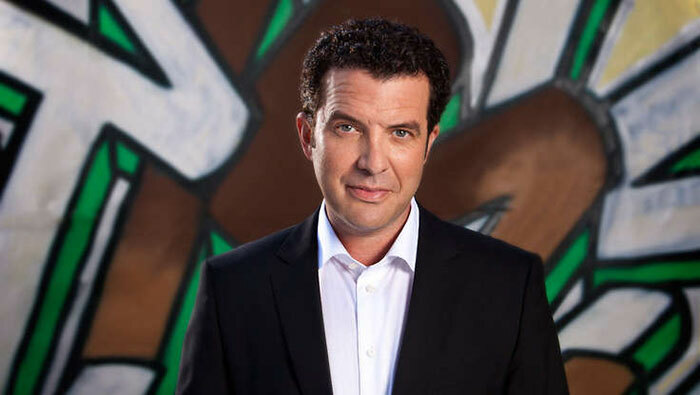 Mr. Mercer's top-rated, award-winning CBC show, The Rick Mercer Report – which routinely tramples even its American competitors in the ratings – features his trademark rants, hilarious (and informative) fake newscasts, commercial parodies and comic encounters with famous Canadians, talking about Canada. More than any other comedian (or journalist for that matter), he talks to Canadian newsmakers with a refreshing candor, and is uniquely able to spin topical hilarity from the people and the things deeply embedded in the national consciousness. The Rick Mercer Report is currently in its 11th season. Born in St. John's, Newfoundland, Mr. Mercer has won over 25 Gemini Awards for his top-rated CBC series: The Rick Mercer Report, Made in Canada and This Hour has 22 Minutes. Mr. Mercer also starred in Rick Mercer's Talking to Americans, which was watched by millions, attracted attention across North America, and remains the highest-rated comedy special in Canadian history. In 2014, he was made an Officer of the Order of Canada. Mr. Mercer is the author of three national bestsellers, Streeters, The Rick Mercer Report: The Book and 2012's A Nation Worth Ranting About. Mercer will co-write the screenplay for High Alert, a political satire based on the 1966 Norman Jewison movie, The Russians Are Coming, the Russians Are Coming. Dr. Karyn is one of North America’s leading relationship/parenting experts, a best-selling author, a media personality, motivational speaker and founder of dk Leadership. Her mission is to inspire people to dream their best life, learn the tools and do it! She is passionate about teaching EQ (emotional intelligence) leadership skills to help develop thriving relationships at home and at work. She is the best-selling author of Dr. Karyn’s Guide To The Teen Years and has written three additional resources for parents, teachers & counsellors. She has a Bachelor in Psychology, a Masters in Counseling, a Doctorate in Marriage & Family and has done extensive studies in generational differences, personalities, leadership & EQ. Dr. Karyn is media savvy with over 17 years of national experience. She is a regular expert for Good Morning America, Cityline and Breakfast Television. In addition, she writes a regular column for New York Parenting and Chatelaine magazines. A dynamic motivational speaker to more than ¼ million people, Dr. Karyn's gift is communicating playfully, passionately and pragmatically. She has given over 1,000 keynote addresses to many diverse audiences including Fortune 500 companies, government, educational/parenting conferences and schools. For 18 years Dr. Karyn, along with her associates, built a thriving coaching practice for families in Toronto. 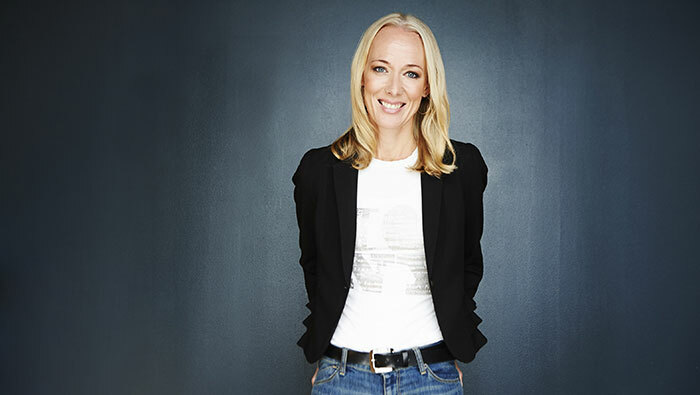 In 2011 she expanded her work to New York City and in 2013 she and her team launched the wildly creative dk Leadership. Dr. Karyn lives in Toronto with her adored husband of 13 years and high-energy twin seven year olds. Striving to live what she teaches, she aims to work smart (working part-time) and play hard! She is dedicated to understanding the power that environment and family organization can have on overall emotional well-being. If ever there is doubt that one person can make a difference, Simon Jackson – and his incredible story of the Spirit Bear Youth Coalition – puts that doubt to rest. Simon’s quest, at the young age of 13, to save the white Kermode bear gave rise to the world’s first and biggest youth-run environmental movement and the largest land protection measure in North American history. Discussing his personal story, as well as the intricacies of founding a non-profit and navigating both business and politics, Simon inspires audiences to realize the “power of one” to encourage change and challenges citizens to re-think how we tackle complex environmental challenges. 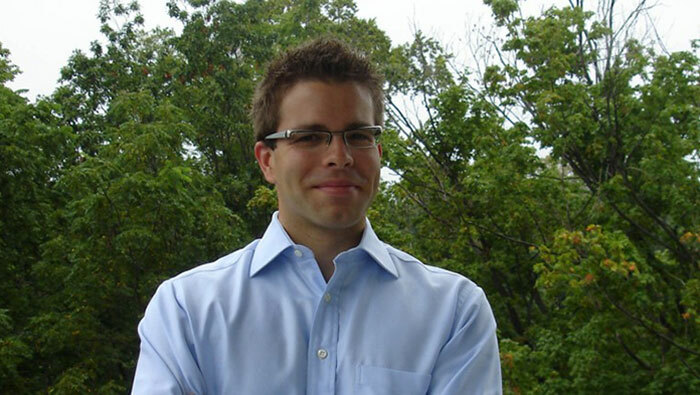 Simon has received several honours for his work to save the Spirit Bear, including being selected among the “Top 25 Up and Comers” by Maclean’s magazine. He is a Fellow of the International League of Conservation Writers and was recently named as one of the “100 Guardian Angels of the Planet” at UNESCO’s Founding Congress for the World Green Games. Most notably, he was honoured as one of Time magazine’s “60 Heroes for the Planet,” one of only six young people selected from around the world, and honoured with a Queen's Diamond Jubilee Medal for his work on behalf of the Spirit Bear. Simon’s life story was the inspiration for CTV’s award-winning programme Spirit Bear: The Simon Jackson Story. He is also executive producer for the upcoming Spirit Bear CGI movie. Sitting on several boards of directors and acting as a public-affairs commentator with CBC and Huffington Post, Simon is also an award-winning photographer, is a widely published writer, and is an environmental communications and youth mobilization strategist.